The dream to migrate to Canada is made easy by the Canadian government, thanks to US President Donald Trump as this was possible only due to his unfavorable visa conditions in the USA. To grab the opportunity and attract more International Talent to Canada, IRCC has launched Global Talent stream. This stream helps high growth companies in Canada to hire employees internationally with short processing time, less documentation and minimal requirements. This stream is majorly dedicated to the International IT professionals. 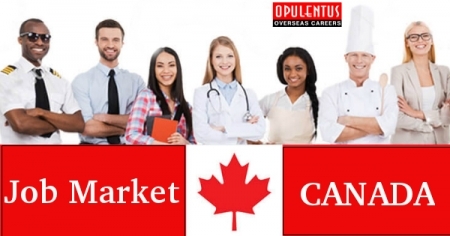 Canadian companies falling under Category A, referred by designated partners and start-ups too can utilize this opportunity to hire talents from outside Canada. From the inception of this program, surprisingly 2000 candidates have been welcomed to Canada with-in three and half months. With the increasing demand for this stream, IRCC Canada has cut down the processing time to 20 days for making a decision on this visa. Among the 2000 candidates invited, without any surprise, Indian IT professionals have been the most favourite for Canadian employers. Half of the share is being taken away by Indian IT professionals; wherein Chinese stood second with the share of 300 visas. The remaining has been shared by French, Brazilian, South Korea and America. Few of the major skills that are being hired under this program are; Software Engineers and Systems Analysts.